Is a platinum mens wedding band the right choice for you? Men often find that the process of finding the perfect wedding band to be a bit daunting and overwhelming. It is important that you take into consideration your lifestyle & overall personal style when selecting your wedding ring. At deBebians, we want to help our customers as much as possible so that they can make an educated decision before making this life-long decision by offering as much mens wedding band advice as we can. If you suffer from metal allergies, such as nickel, you will want to purchase a wedding band that does not contain nickel. Platinum wedding rings, for example, would be a wonderful option. All of platinum wedding rings are manufactured with platinum 950, which is 95% pure platinum and 5% iridium, which is a rare white metal found in the platinum family. Take into consideration your lifestyle. 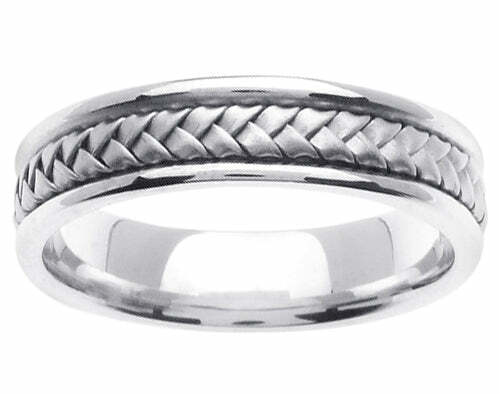 If you prefer the feeling of a weightier ring, then a platinum mens wedding band may be the right choice for you. Platinum is heavier than gold and has a more substantial feel that both men and women love. If you would like assistance in finding the perfect platinum mens wedding band, one of our customer service representatives will be able to assist you. We also have GIA graduates if you are interested in how to buy diamond loose. Let us know if you have any questions in the comments section of this post.